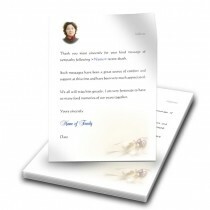 Your memories of a loved one deserve a specialised service. 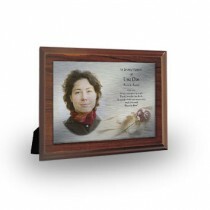 It will be a comfort to you at this time to know that our personalised Memorial Gifts will act as a reminder to the many family and friends who love them. 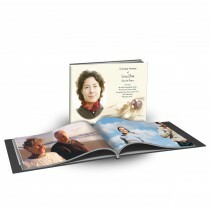 Each comes in a range of over 300 designs and over 200 verses to choose from that will evoke memories in an especially personal way. 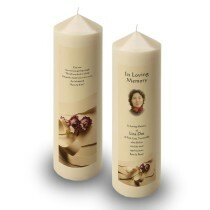 We can personalise each product with your photographs, background images and verses of your choice to truly reflect your loved one’s life. 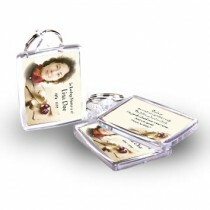 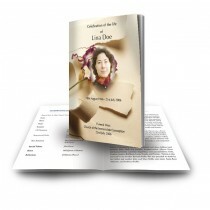 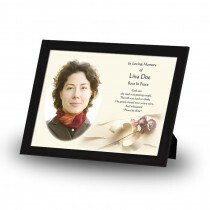 Feel free to browse through our range of personalised Memorial Gifts - Folded Memorial Cards, Standard Memorial Cards, Memorial Wallet Cards, Memorial Bookmarkers, Memorial Keyrings, Acknowledgements, Memorial Candles, Memorial Photobooks, Funeral Books, Framed Memories, Memorial Plaques, Memorial Single Page Calendars, Memorial Tent Calendars, Thank You Letters and our Discounted Memorial Packages if you order more than one product. 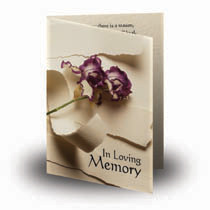 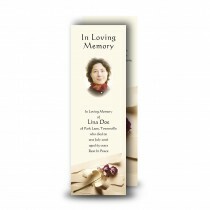 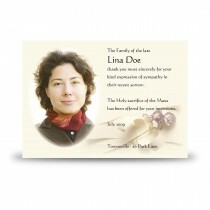 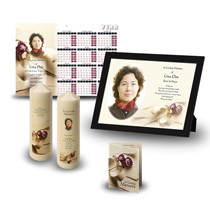 We at The Memorial Card Company will be of assistance to you and your family in creating your Memorial Gift Ideas, making sure everything is done just right for you.